Make the search bar easy to find – If you want your ecommerce website to be accessible to the biggest market possible then you have to make it almost ‘idiot-proof’. Place it right at the top of your website, most people look for search bars in the top-right or top-left corner. The search bar needs a tag next to it saying something simple like “Search: “, “Search Products: ” or “Find Products: “, an empty field will get less uses. Also have a “Go” or “Search Now” button directly right of the search box to perform the actual searching; make sure pressing enter within the box performs the search also. 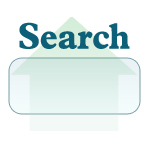 An example of a great search bar can be found on SunglassesSave.com, one of our latest web designs. Cater for misspellings, Americanisms & common typos – Not everyone (us included) can spell perfectly or has never had a typo whilst typing on a keyboard. Words such as “polarised” are spelled “polarized” by Americans meaning that you should cater for both types of spelling even if your target market is the UK alone. It’s a great practice to ensure that mis-spellings, Americanisms and any common typos are picked up by your search bar and still bring up the correct results. Some ecommerce software (such as Magento Ecommerce) records down every search ever performed on the site and allows you to redirect mis-directed search queries. If there is no option to tweak the search results for related searches then you can always use a 301 redirect on the URL. Try searching for the words “hook”, “hooks” and “hoks” in to GrahamAndGreen.co.uk, one of our Magento stores. Don’t miss out on nearby results – If people are looking for a ‘red’ coat then it would be crazy to hide all the ‘crimson’ or ‘burgundy’ coats as they are red to many people’s eyes. Shockingly a majority of ecommerce sites make this mistake and miss out on many potential sales. Pretty much all ecommerce platforms allow you to tag each product with keywords so ensure you have all variants of your product name, type, colour etc. to have a maximum effect. If you sold televisions for example then you could use the words “television”, “tele”, “telly” or “TV” to describe it! Search bar optimisation is another way to improve the overall conversion rate of your website. Each minor improvement to an ecommerce website increases profits and creates more return customers. Just spending one day optimising your search bar will be a great investment of time and/or effort.